Maternity services can be booked directly with Kingston Hospital via their dedicated website - www.kingstonmaternity.org.uk or we can refer to alternative hospitals such as Ashford and St Peters, Epsom Hospital and the Royal Surrey Hospital if you prefer. We share care with the Kingston midwives, who visit both Glenlyn Medical Centre and Giggs Hill Surgery on a weekly basis. Please ensure you bring your maternity hand held records to every appointment. CLICK HERE to see the baby immunisations' schedule. The NHS National Breast Screening Programme provides free screening for breast cancer for all women over the age of 50. If you're between 50 and 70 you should be routinely invited for a mammogram. Women over 70 are encouraged to make their own appointments. When booking an appointment, please tell the receptionist you are attending for a smear test. Health Visitors provide a weekly Well Baby Clinic for children up to the age of 5 years. During clinic time the GP offers developmental assessments for babies at 8weeks. The GP is also available to review any developmental problems as appropriate. Health Visitors are registered nurses with specialised training in public health issues, family and child health. Currently Health Visitors carry out development assessments at 8 months and whenever necessary, and are able to offer advice for support to parents. Registered Nurses offer appointments for immunisation during clinic times. Parents must make appointments at the surgery for all immunisations. Chlamydia is the most commonly diagnosed Sexually Transmitted infection in men and women. Most of the people who have this infection will have no symptoms. 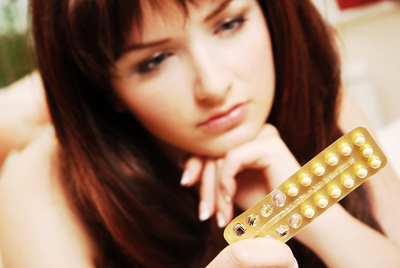 If you or your sexual partner remain untreated it can cause infertility. Dr Vo, Dr Turner and Dr Howarth provide family planning services including coils and contraceptive implants. We have dedicated Diabetes Nurses, Janet Ridout and Sharon Chadwick, who will oversee your total diabetic care including medication changes, regular check-ups, and referrals to associated specialists eg dietician, podiatrist. These vaccinations are recommended for patients over the age of 65, patients suffering from heart, lung, liver or kidney diseases, diabetes or residents of nursing homes. Please contact the surgery at the beginning of October for further details. If you are housebound, a home visit can be arranged. Prevention is better than cure. We take every opportunity to check on our patients’ health and offer advice on healthy living. We also offer a full range of special health promotion clinics by appointment with our practice nurses. Dr Kapoor, Dr Strickland and Dr Miller do both. Patients can request a Minor Surgery or Joint injection appointment directly without seeing another doctor. A specialist smoking cessation clinic run by Quit 51 is offered at Glenlyn Surgery on Friday mornings - please ask at Reception if you would like an appointment. Please note that it would be helpful if you could make an appointment at least 6 weeks prior to travelling. More information can be found on the above Travel Vaccinations page.